The wall run to split jump is not a split jump. There is a basic split jump as well. First of all: Wow. Awesome. Everything was a pleasant surprise except for the merc reload (I already saw that somehow I can't remember) but the merc reload is still awesome sauce-ome anyway. Great job. Ayslum looks very atmospheric. Orphanage-like. Speaking of the wall run/jump, would a wall run be a good idea just on its own? It would be cool for avoiding a merc's charge hahaha kind of max payne/matrix. A spy can already do a backflip off the wall and now a split jump off a wall run, maybe a wall run move could work. Seems like the animation is (more or less) already made! Is there more coming from this tick tock? This walljump will probably depend on the angle and velocity. A normal walljump (like press jump twice) will also be in. We are looking into wallrun possibilities, but that would probably only be useful in certain areas. - wallflip: run vertically up the wall and make a backflip. There is no 180 degree turn in our version. - walljump (at speed, when there's enough space): horizontally run between the two walls, alternating until you are at a certain height. Then stabilize with one foot on each wall. - walljump (low speed): push off against one wall, then push off against the other wall and then stabilize with one foot on each wall. Farley, there will be two live Lakehouse walkthroughs (see data chunk #3). Apart from that, this is it. 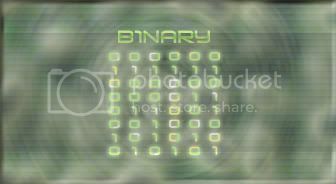 Binary and Frvge for the confirmation. Wall run is perfectly acceptable now. I could see it being useful, but it'd depend on the map. A move more geared towards keeping your momentum going, instead of say... jumping, stopping, then running again. Frvge my dear friend! Now we're talkin finally! Good job! I hope I'll manage to see the broadcast cause it might be hard to do during the week for me... though I still wish to see the mercenary walking around the map, we haven't seen much of that. Keep it up! Can't wait for the beta! PS: Farley the reload animations were simiular to those shown by the guy who was applying for the weapon animation in "Join us". Walking mercenary around a map you will never get it, probably because you will have to wait for BETA. Actually we had that, but not in the current stage. Aka: we had a lot of different features, but we took it all apart to combine it later. And later is now. Yeah, this is just the split jump intended for 3x the height. The normal split jump is also done. We added this as a way to get additional height in the game and will obviously require a minimum length in the hallway for it to be executed. Hah a funny idea occured to me right now. What if you could use that jump to get to some hacking panel or a box with cables to cut? Maybe you already considered that? Or imagine using walljump to place a bomb on let's rocket. Great thing! I have been following very closely this mod and I wanted to congratulate you on these amazing pieces of hard work! I am really looking forward to playing this amazing mod whenever it becomes available, I will wait 10 years if I have to. Congratulations again, guys, AWESOME job!